Life Hacks, Entertainment, How-tos, Trivia & More! He’s the best, right? Your better half, your significant other, the one for you. So, what would your husband or boyfriend like to see under the Christmas tree? Here are our Christmas gift ideas for men in this category. 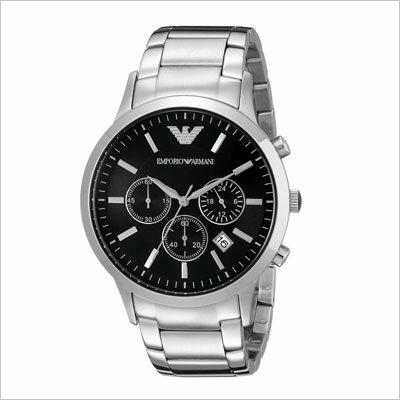 What says style better than an Emporio Armani watch for your beau? Nothing… except for this incredibly awesome and substantially affordable classic chronograph. It’s got the attitude, the look – now all it’s missing is the perfect man to wear it. And that man is, of course, your boyfriend or husband. You know what? It doesn’t even matter if your loved dude is a rocker, hip-hopper, or not even that much into music with this album. 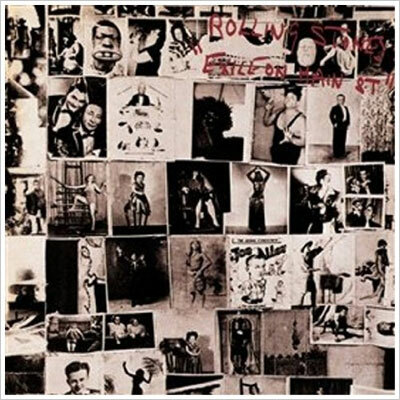 The Rolling Stones’ classic Exile on Main Street is packed with enough musical prowess and history that it can be enjoyable for just about anyone, irrespective of taste. We recommend going full-out classic and buying the CD, or even the vinyl edition if you’ve got a true classic rock aficionado at home. Even if your husband or boyfriend isn’t into poker, they will be, once they get their grubby paws on this beauty. 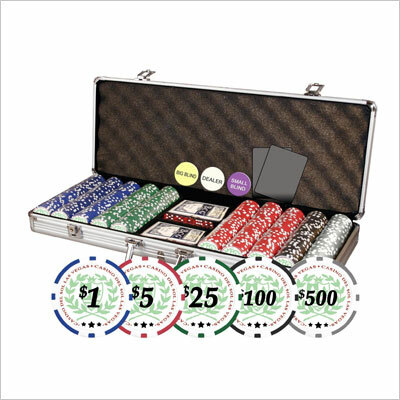 This amazing stainless steel poker case includes 500 11.5-gram poker chips modeled after Casino del Sol chips, cards, dealer buttons, and 2 cut cards. Let the games begin! 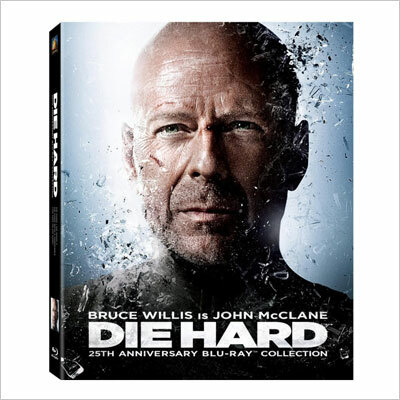 Look, men love Die Hard – and that’s a fact of life, much like air is colorless and weightless, and pigs never will fly by themselves. And, after all, why wouldn’t they? The movie franchise is packed with enough action and humor to have become a classic. 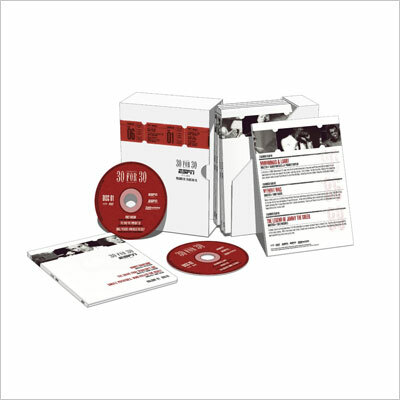 That’s why this awesome 25th anniversary box set of DVDs would make a perfect gift for your hubby. Not to mention it’s Blu-Ray quality, so you can count on the viewing experience to be amazing. 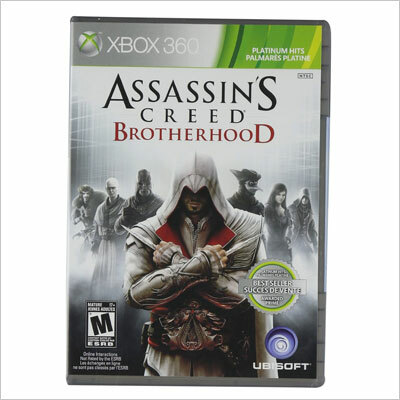 Chances are the man in your life already knows about the spectacular Assassin’s Creed game franchise, but if he hasn’t gotten round to playing it on Xbox 360, he definitely should. The game features an impressive cast of character classes, signature weapons, killing moves, detailed maps, and unique multiplayer modes. In single player mode, there are at least 15 hours of gameplay in a superb video game rendition of the city of Rome, featuring historic characters like da Vinci and Machiavelli. Men hate asking for directions. 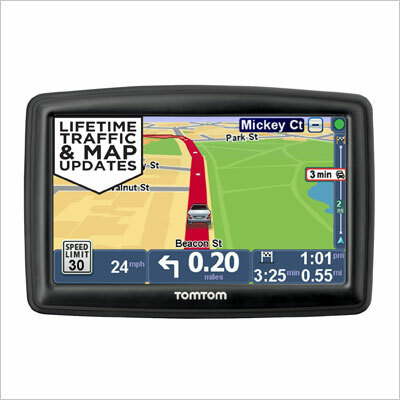 Well, the good news is that with the TomTom START 55TM 5-inch GPS navigator, they no longer have to. The device will provide the directions for them! The GPS software included also provides lifetime information about traffic and maps, as well as roadside assistance, for those less-than-fortunate incidents. Nothing wrong with your husband or boyfriend going casual – in fact, men who can pull off the casual look are genuinely dapper. Allow your beau to go full-on classy casual with these awesome Vaughn sneakers from Polo Ralph Lauren. After all, if Ralph Lauren isn’t elegant, we don’t know what is; so you could basically say these are the classiest sneakers in town right now, yet at the same time they’re also cool, topical, and easy to wear. 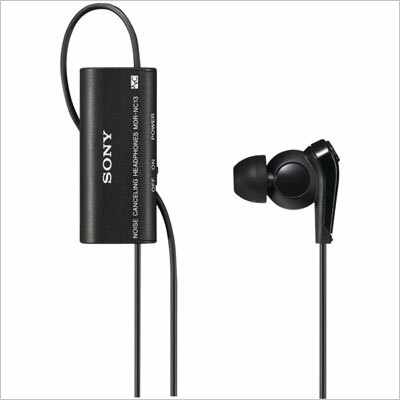 When you think noise-canceling headphones, you usually envision heavy, bulky devices which fully cover up the ear. Thanks to the innovators at Sony, however, now, your music-loving significant other can enjoy up to 87% ambient noise cancelation with these discreet and lightweight ear buds. To boot, they also provide an amazing 100 hours of listening time. Wowza! If the man in your life likes to think of himself as a handy man, who is genuinely into fixing things around the house, why not go all-out for him? 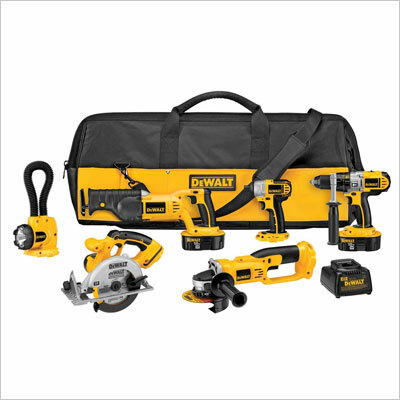 Why not gift him this spectacular DEWALT combo kit that includes 6 power tools, as well as an impact driver? It’s the gift that keeps on giving, which includes a hammerdrill, a circular saw, a reciprocating saw, a cut-off-tool, and a floodlight. These novelty plug-and-play speakers might not be to everybody’s liking, but if you know your boyfriend or husband is into colorful, funky things, they might just be what you were looking for all along. 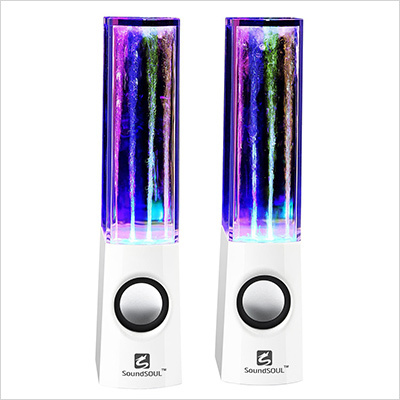 The speakers literally make water and color dance to your guy’s favorite music, while the multi-colored LED lights are liable to turn any living room into a club’s dance floor. 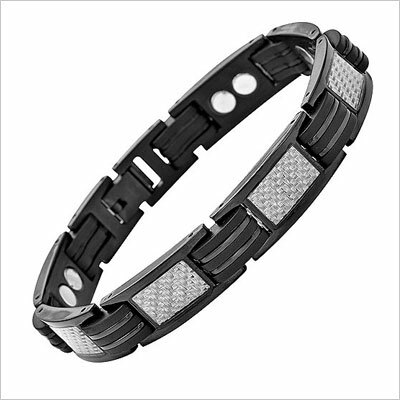 Titanium jewelry is all the rage this year, in terms of accessories for men, and this one is just perfect for your husband or boyfriend, judging both by its price tags, as well as by its reviews. It’s got silver carbon fiber insets, and also comes with a free tool to adjust its length by removing links. It’s lightweight, and you can also order it gift-wrapped from Amazon. 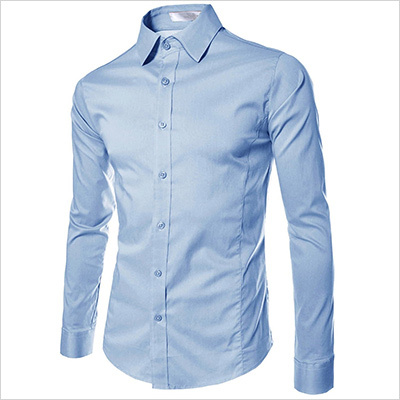 If either you, your man, or the both of you care about his style and look, then this TheLees slim fit shirt is the perfect gift. Not only is it impeccably cut, and able to flatter any body shape and figure, but it also comes in a wide range of colors, as well as in a short-sleeved version. Roll up the sleeves for a casual look, or go full-on stylin’ with a hip blazer layered on top of it. If you truly love your man, then you ought to also love the ride he comes along with – because chances are he does. And if you do, car accessories are always a good idea. 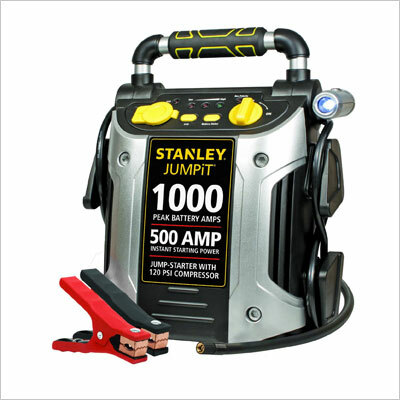 Perhaps the most useful kind of car-related gift is a portable jump starter like the Stanley J5C09, which carries up to 500 Amps, and also has a built-in air compressor. Judging by the reviews this baby got, it has got to be one of the best loved gifts for husbands or boyfriends, or rather for all men, available on Amazon. It includes 6 DVDs of sports documentaries, or over 1,100 minutes of sports history, featuring Wayne Gretzky, Muhammad Ali, Larry Holmes, Allen Iverson, and countless other legends. And this is just Volume I of Season I! Men love their meats, don’t they? They sure do, be they grilled, smoked, or cooked in any other way – so long as they’re getting their protein. 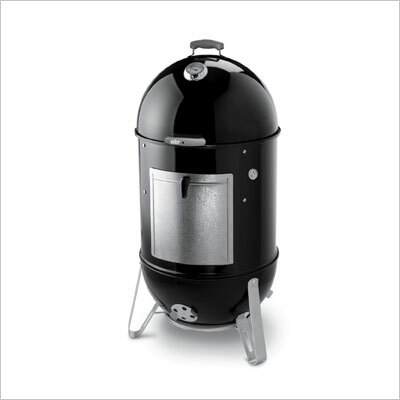 Well, this Weber charcoal smoker can help your man enjoy that genuine smokehouse flavor they love so much right at home. What does that mean for you? That you’ll be able to enjoy homemade ham without lifting a finger or spending an extra penny. PS: This beauty fits a whole turkey! 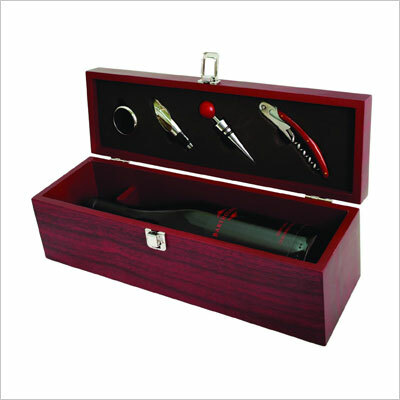 Wine is one of those gifts that just keeps on giving, and this is certainly true of the spectacularly classy cherry wood wine accessory gift set pictured above. Not only is it elegant, but it’s also practical, as it includes a corkscrew, bottle stopper, pourer, and drip ring. Thinking of turning your hubby into a professional sommelier, are you? 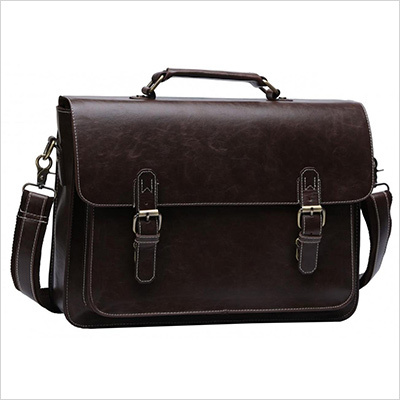 This amazing leather briefcase perfect for business is sturdy, elegant, and ample enough to accommodate a 14” laptop, as well as an iPad. The shoulder strap is adjustable and detachable, and the pockets are multifunctional. Not to mention the whole things looks absolutely stunning. 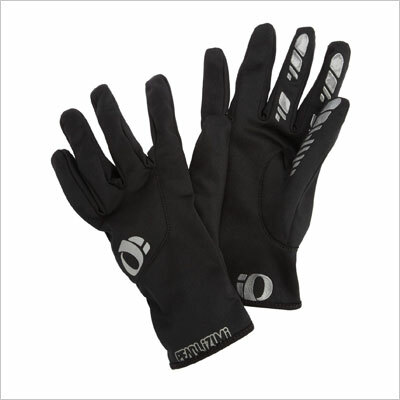 If your husband or boyfriend loves biking, then, come winter, he’s definitely going to need a pair of professional-grade biking gloves, such as these ones from Pearl iZUMI. They’re 1 inch high and 5 inches wide, and also feature silicone screened finger tips for a good grip. They’re also lightweight, easy to pack, and will provide optimal warmth in mild weather conditions. We’re absolutely sure both you and your significant other know all about Call of Duty: Black Ops, the Cold War-era based shooter game. This is the seventh installment in the saga, which is based on actual events that took place at the time, and involved lots of live fire. 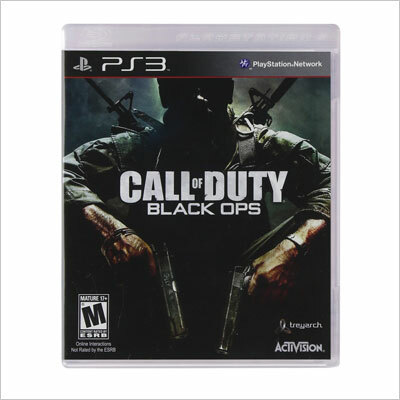 The PS3 version features new first-person scenarios, as well as a bunch of awesomely cool weapons and vehicles. Is your husband or boyfriend an aspiring rock star? 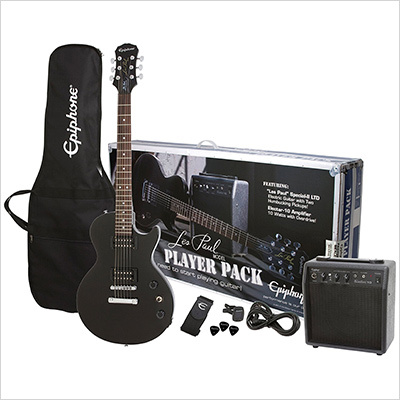 Then the Epiphone Les Paul pack is exactly what he needs to hone his skill. The guitar included is a genuine Les Paul Special-II LTD, with two classic hum bucker pickups, and a 10-watt Electra amp with reverb. Not only are all the trimmings included, but so are downloadable guitar lessons. Check out the 20 best gift ideas for your brother(s) on the NEXT page!